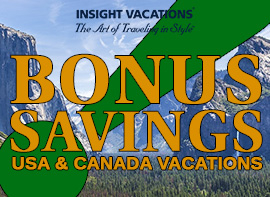 My trip to the Canadian Rockies with Trafalgar started off by arriving in Calgary, Alberta for a one-night stay at Westin Hotel, conveniently located downtown and within walking distance of all the restaurants and tourist attractions. The day was spent exploring and getting a glimpse of Calgary’s beautiful high-rise architectural buildings and public art. Early the next morning, we embarked on our journey on the Icefields Parkway, which has a reputation for being one of the world’s most beautiful drives. 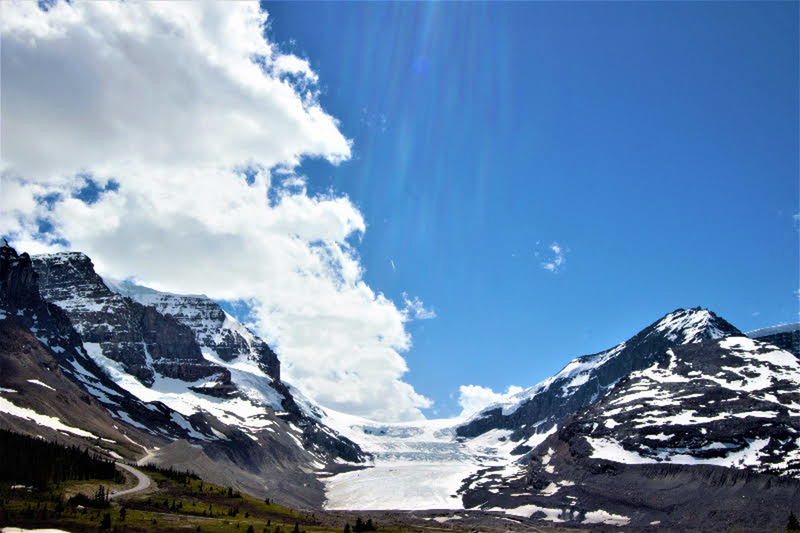 The highway offers plenty of glacier sightings, while still keeping a lookout for wildlife. Along the road, we spotted several brown bears, elks, and bighorn sheep that were waving at us –just kidding. We did have a close encounter with them while on the motor coach, and it brought out the kid inside all of us as we excitedly watched them. Our first lunch break was at the famous Fairmont Chateau situated right on the gorgeous and unique green colored Lake Louise. Its extraordinary alpine setting was incredible, flanked by mountains on each side. No wonder people called it Canada’s Diamond in the Wilderness. The next stop was Athabasca River Falls, and it became my favorite waterfall on the drive to Jasper. It was particularly impressive due to the sheer power and force produced by the waterfalls. 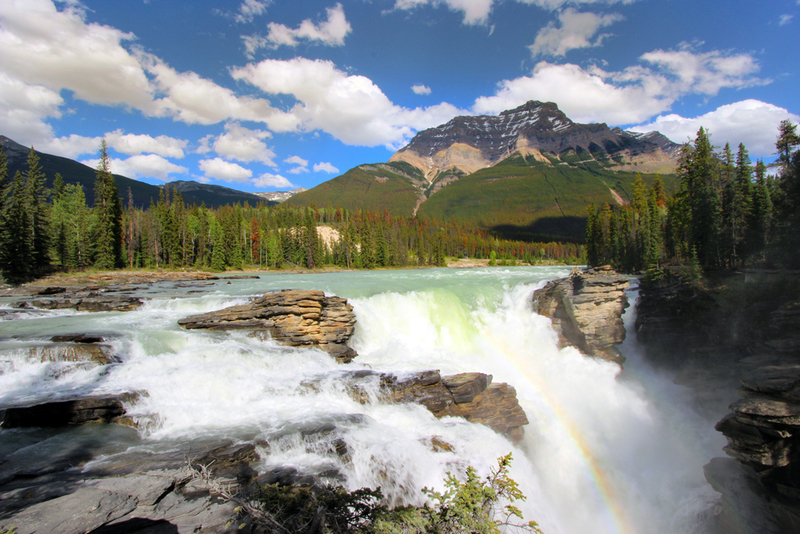 Unfortunately, pictures of Athabasca waterfall cannot justify its beauty. 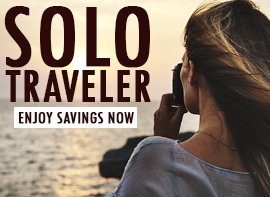 Related: Explore The Beauty Of The US And Canada With Trafalgar. 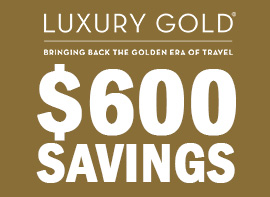 Click For Low Prices. Shortly after, we arrived in Jasper, an alpine town located in the Athabasca Valley within Jasper National Park. It was a picturesque community that offers tourists a variety of activities, attractions, and natural Canadian wonders. Our hotel was located in the heart of town and surrounded by many restaurants and attractions and we had fun exploring the small town for our 2-night stay. 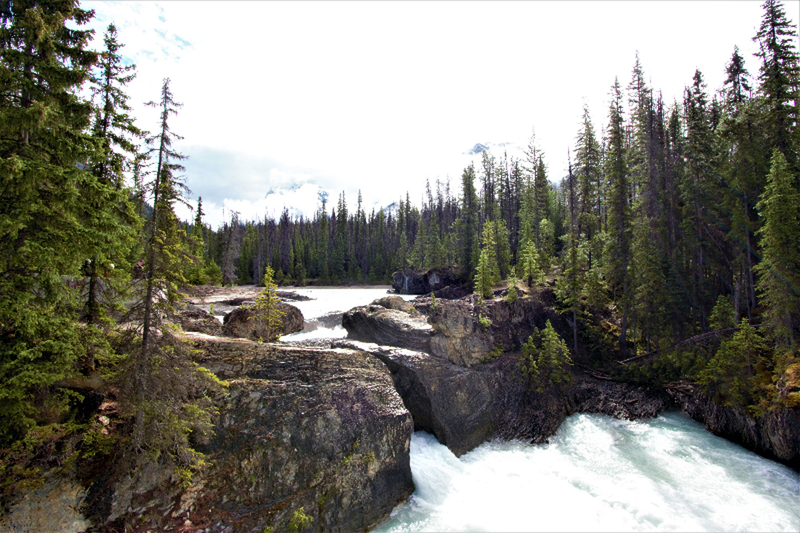 The following day our next natural wonder was to Maligne Canyon in Jasper National Park. It has been eroded out of the Palliser Formation, and measures over 50 meters (160 feet) deep. 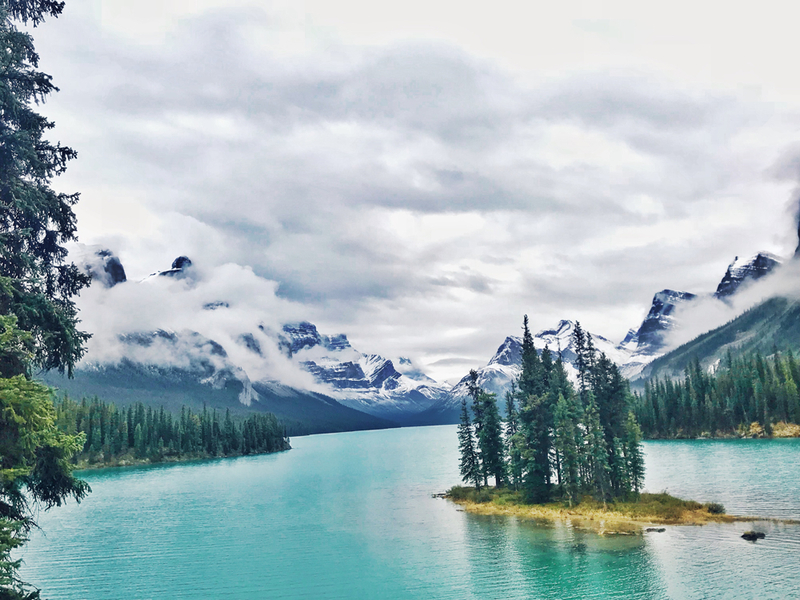 After that, it is over to Maligne Lake where we took a 30 minute boat ride out to Spirit Island, a spiritual place surrounded by high mountains representative of Stoney First Nations’ ancestors. 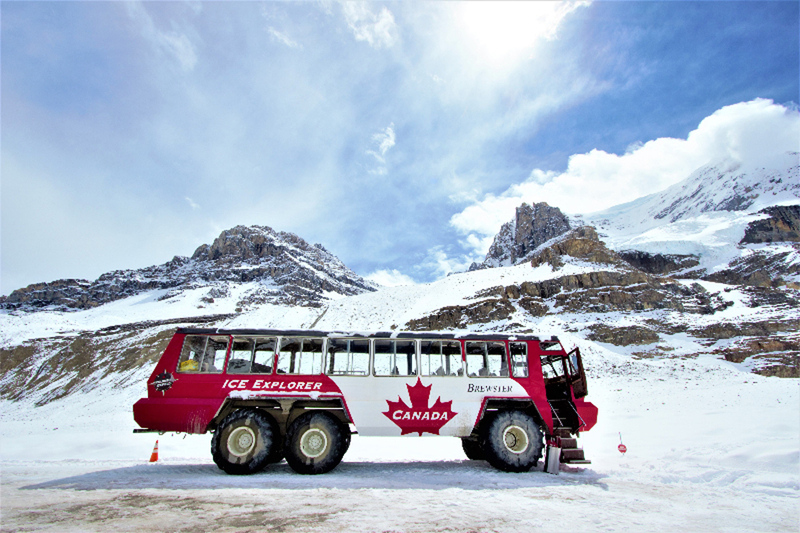 Our journey continued to Columbia Icefield Visitor Center as we hopped onboard an Ice Explorer, which is a massive vehicle that took us up to the Athabasca glaciers surface. There, we got to walk around while embracing the spectacular view of the glaciers up-close. We made our way back to the scenic Icefields Parkway and down to the town of Banff for the remainder of our stay. In the evening, we dined and chatted with a retired Royal Canadian Mountie dressed in red serge. We couldn’t leave Canada without understanding their all-time favorite national sport: Hockey. So, we ventured over the town of Canmore and were welcomed by the Canmore Eagles, who took us under their wings and showed us the full experience of being a hockey player on the ice rink with their uniforms and skates on. The remainder of the day I was free to walk through the stunning town of Banff. 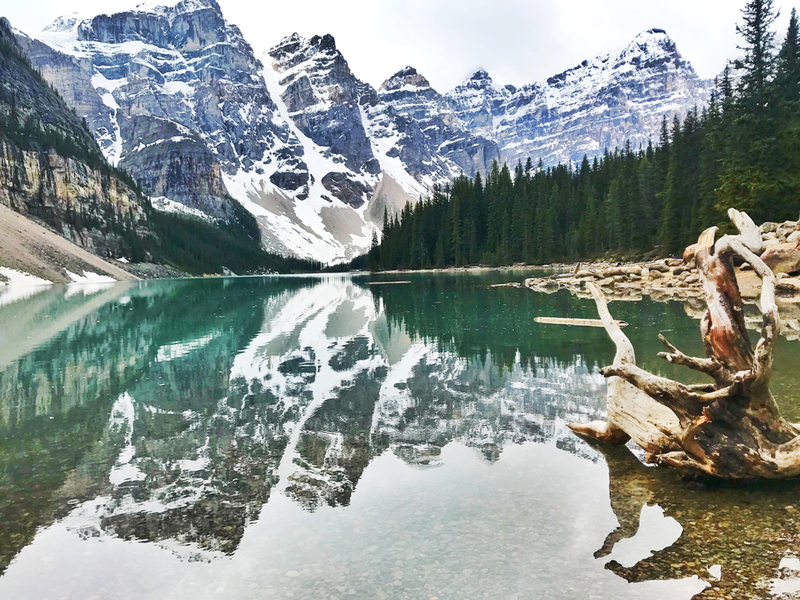 The last day, I took an optional visit to Emerald Lake and Moraine Lake. 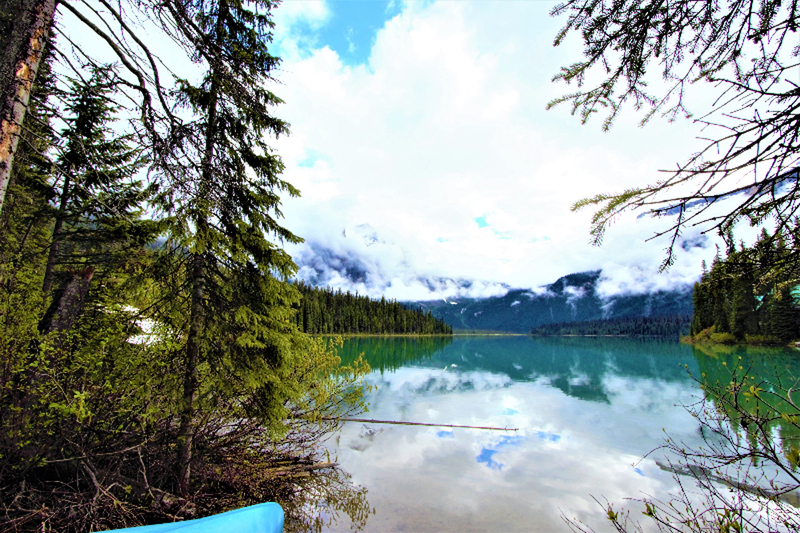 Situated in the spectacular Yoho National Park, Emerald Lake is one of the largest of the 61 lakes found in the park. 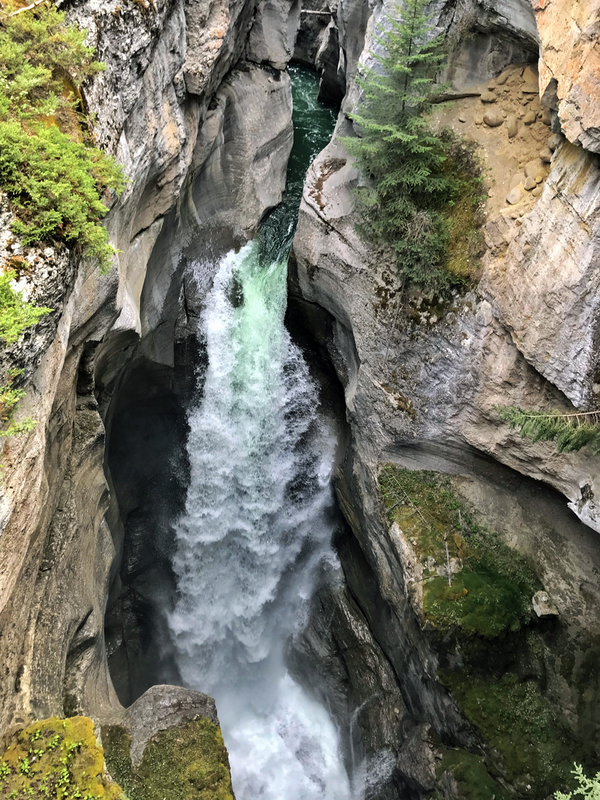 Along the way, we stopped by Natural Bridge, which is exactly what it sounds like — a natural rock formation that spans the Kicking Horse River like a bridge. 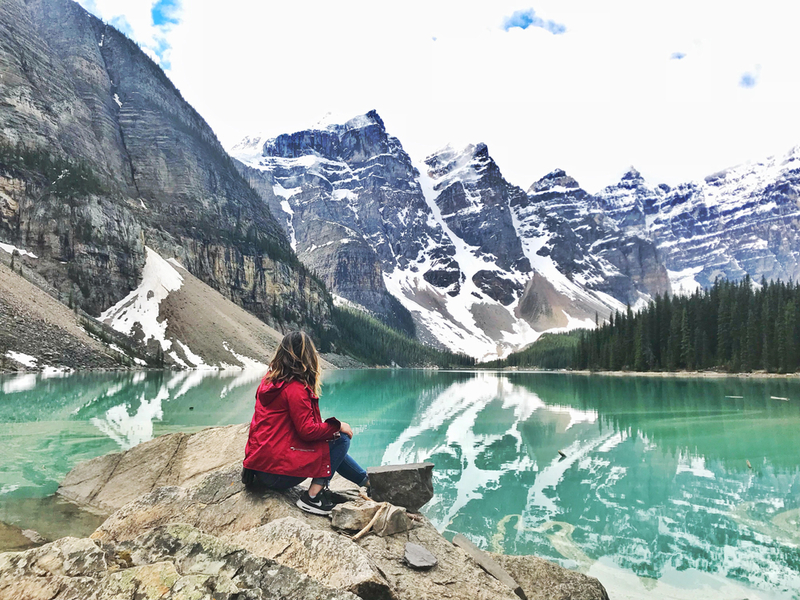 Moraine Lake, lesser-known sister lake to Lake Louise, was just as beautiful and utterly enchanting with surreal blue water surrounded by rugged snow-capped mountain peaks. 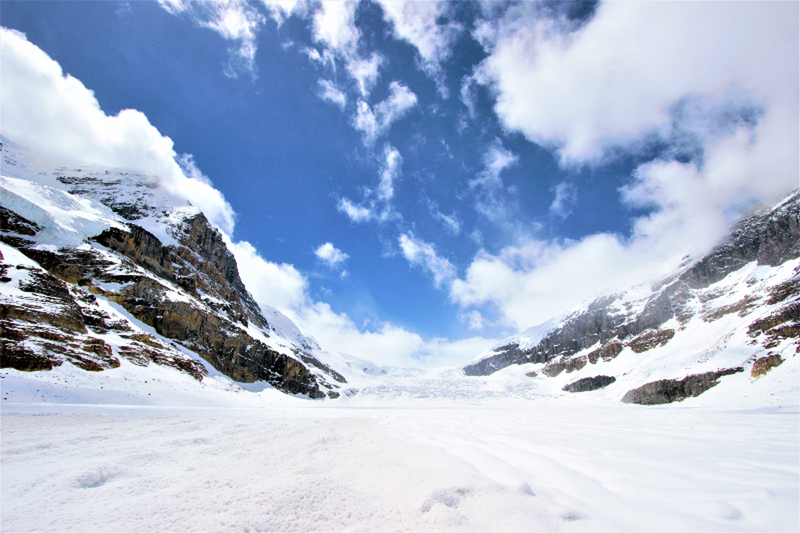 The 7 day Canadian Rockies with Trafalgar was an adventurous and captivating outdoor experience. 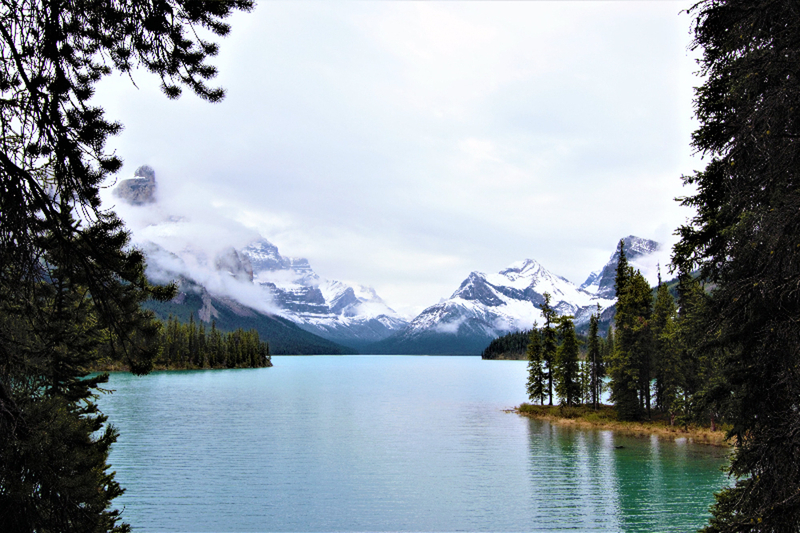 I believe Canadian Rockies should be on everyone’s bucket list to embrace rich tapestry of the mountains, lakes, and wildlife. 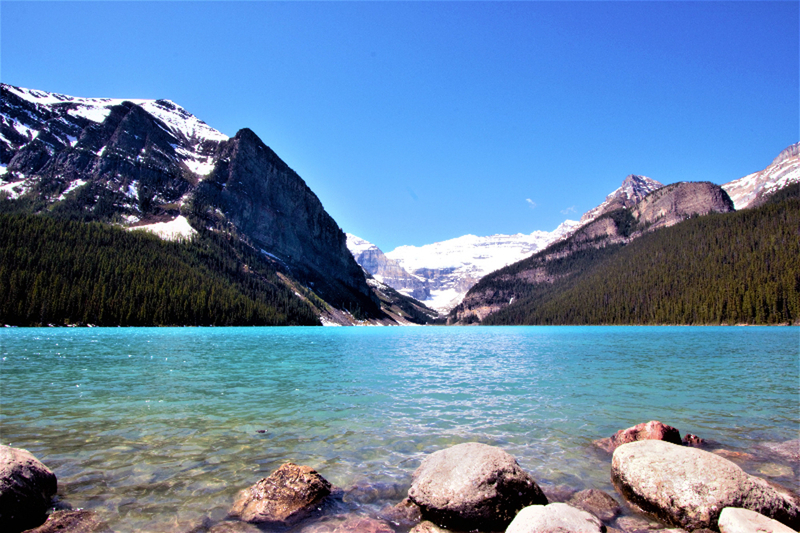 I will miss the Canadian Rocky Mountain parks and lakes and I hope go back and experience everything once more.